Sports Focus Physiotherapy has small group prenatal Pilates classes commencing at Northbridge, for women 12-38 weeks pregnant. 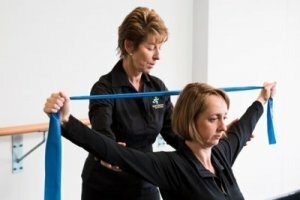 Our Women’s Health Physiotherapist will progress you through stretches and strength exercises specifically designed for pregnancy – using mat, gym ball and small apparatus. • Develop awareness, understanding and knowledge of your body and … POWER through your pregnancy! The class is held on Tuesday evenings, 7-8pm $30.00 per class or pre-pay your program and save – just $125.00 for 5 weeks! To join the class or for more information come in and see us or call Northbridge Physiotherapy on 9958 8986. Learn more about our prenatal Pilates classes in Sydney. Sports Focus Physiotherapy are available to cater to all your physio needs.